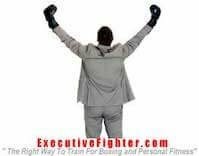 Over 20 years experience as a Boxing ,MMA & kickboxing Coach,personal trainer and boxer ! Fully Qualified & experienced Level 1 Boxing Coach.
" You are not just purchasing my presence and guidance through your workouts but also my education, experience, knowledge and expertise with program development and design." Paul has over 20 years experience in Boxing,MMA ,FMA , kickboxing, personal training,program design and providing nutrition plans to atheletes and the general public in the UK and Australia ! Amongst numerous other things ,Paul has also taking part in amateur boxing and general boxing fitness activities in the UK given by the A.B.A (Amateur Boxing Association).He has also organised and run programs and classes for children and adults in numerous countries and worked with numerous other organisations including National Sports Centres. Contact me by email or call to book your first session.......Try it, you won't be disappointed. Learn to box (gold coast) with Paul who also has accreditation within Australia and numerous other Advanced qualifications and certificates including western Boxing, ,MMA ,FMA , kickboxing, personal training, and other Advanced coaching and Instructor Certificates. All he's personal trainer certificates & qualifications are also recognized by Fitness Australia. I am very passionate about training . Each person may have a completely different training regime which could include a combination of weight training, running, boxing, walking, bike riding, swimming or other activities. It all depends on your situation. I have always enjoyed sharing my knowledge with others. Now I can also share my lifestyle. What I appreciate most about personal training and boxing coaching is the fact that it is personal; it gives me time to get to know and understand my clients and closely attend and cater for their special needs. Witnessing a client’s progression and achievement is the most rewarding and motivating factor in my career. Book an introductory private training session (current special offer price is $45 per person). This initial training session also includes a FREE consultation where we can then give you accurate prices and discuss your objectives/goals. This is also a good time to see the training facility and meet your personal trainer or coach in person.This will also help you make a better and more accurate decision to see if our services are for you and suit your budget. Because we offer private services, all programs are by appointment only ,NO “WALK- INS”.